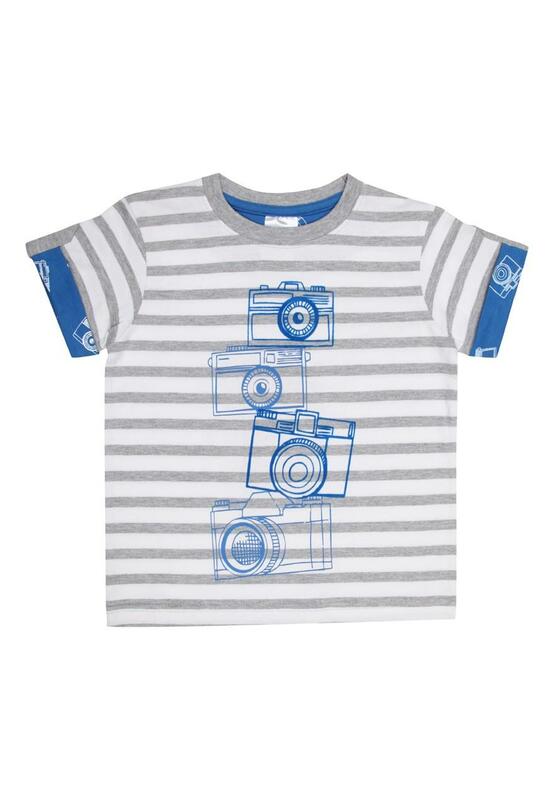 Get the paparazzi look in this cute camera print tee. 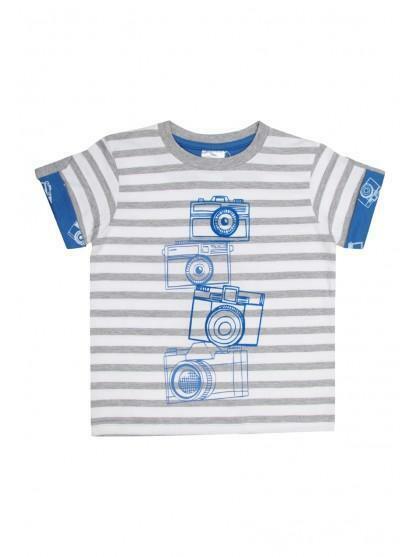 For every little creative enthusiast this tshirt is the idea little number. Featuring turn up sleeves, all over stripe and camera print. Wear with jeans and a hoody for a complete look.